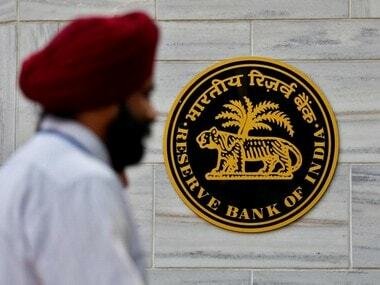 The RBI on Thursday cut key short-term lending (repo) rate by 25 bps to six percent at its First bi-monthly monetary policy review of the ongoing fiscal. The MPC decided to keep the monetary policy stance unchanged at neutral. 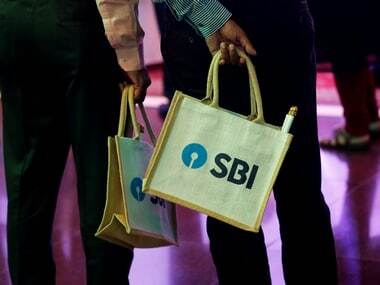 "These decisions are in consonance with the objective of achieving the medium-term target for consumer price index (CPI) inflation of 4 percent within a band of +/- 2 percent, while supporting growth," RBI said in a statement. 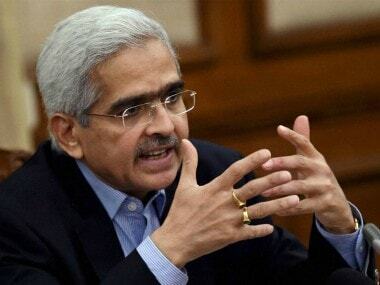 "Dr. Pami Dua, Dr. Ravindra H. Dholakia, Dr. Michael Debabrata Patra and Shri Shaktikanta Das voted in favour of the decision to reduce the policy repo rate by 25 basis points. Dr. Chetan Ghate and Dr. Viral V. Acharya voted to keep the policy rate unchanged," it said. Dr. Chetan Ghate, Dr. Pami Dua, Dr. Michael Debabrata Patra, Dr. Viral V. Acharya and Shri Shaktikanta Das voted in favour of the decision to maintain the neutral stance of monetary policy. Dr. Ravindra H. Dholakia voted to change the stance from neutral to accommodative, RBI statement said. RBI had cut the benchmark short-term lending rate (repo rate) by 25 bps to 6.25 percent in the last policy review in February. The retail inflation, which is factored in by the MPC, has risen to four-month high at 2.57 percent in February mainly driven by higher food prices. It had stood at a 19-month low of 1.97 percent in January. February was the seventh month in a row in which retail inflation was below the Reserve Bank of India's medium-term target of 4 percent. The government has mandated the Reserve Bank to keep inflation at 4 percent (+/- 2 percent). Here is the full text of the First Bi-monthly Monetary Policy Statement, 2019-20. 1. On the basis of an assessment of the current and evolving macroeconomic situation, the Monetary Policy Committee (MPC) at its meeting today decided to reduce the policy repo rate under the liquidity adjustment facility (LAF) by 25 basis points to 6.0 percent from 6.25 percent with immediate effect. Consequently, the reverse repo rate under the LAF stands adjusted to 5.75 percent, and the marginal standing facility (MSF) rate and the Bank Rate to 6.25 percent. These decisions are in consonance with the objective of achieving the medium-term target for consumer price index (CPI) inflation of 4 percent within a band of +/- 2 percent, while supporting growth. 2. Since the last MPC meeting in February 2019, global economic activity has been losing pace. In the US, the subdued performance in the final quarter of 2018 appears to have continued into Q1:2019 as reflected in declining factory activity. The Euro area slowed down in Q4:2018 on soft domestic demand and contracting manufacturing activity. Of its constituents, the Italian economy contracted for two consecutive quarters in Q3 and Q4. In the UK, growth slowed down on Brexit uncertainty, with industrial production contracting during September-January. The Japanese economy rebounded in Q4 on increased domestic consumption expenditure and recovering investment spending. However, the latest data on manufacturing activity and business confidence suggest that growth lost momentum in Q1:2019. The monetary policy stances of the US Fed and central banks in other major advanced economies (AEs) have turned dovish. 3. Economic activity also slowed down in some major emerging market economies (EMEs). The Chinese economy decelerated in Q4:2018 on subdued domestic and global demand impacting industrial activity. Much of this weakness seems to have continued into 2019 as reflected in low factory output in Q1, though the purchasing managers’ index (PMI) moved into expansion zone in March after three months of contraction. In Q1, the Russian economy continued to be impacted by both domestic and external headwinds. The Brazilian economy ended 2018 on a weak note; going into 2019, available economic indicators for Q1 suggest that economic activity remained restrained by both weak domestic and external demand. The South African economy slowed down in the final quarter of 2018. Subdued industrial activity and worsening external demand point to a further loss in momentum in Q1. 6. Turning to the domestic economy, the second advance estimates for 2018-19 released by the Central Statistics Office (CSO) in February 2019 revised India’s real gross domestic product (GDP) growth downwards to 7.0 percent from 7.2 percent in the first advance estimates. Domestic economic activity decelerated for the third consecutive quarter in Q3:2018-19 due to a slowdown in consumption, both public and private. However, gross fixed capital formation (GFCF) growth remained in double digits for the fifth consecutive quarter in Q3, with the GFCF to GDP ratio rising to 33.1 percent in Q3:2018-19 against 31.8 percent in Q3:2017-18, supported primarily by the government’s thrust on the road sector and affordable housing. The drag on aggregate demand from net exports also moderated in Q3 due to a marginal acceleration in exports and a sharp deceleration in imports led by a decline in crude oil prices. 7. On the supply side, the second advance estimates of the CSO placed the growth of real gross value added (GVA) lower at 6.8 percent in 2018-19 as compared with 6.9 percent in 2017-18. GVA growth slowed down to 6.3 percent in Q3 due to a deceleration in agriculture output from the record level achieved in the previous year. Industrial GVA growth remained unchanged in Q3, with manufacturing GVA growth slowing somewhat. Services GVA growth also remained unchanged in Q3; while growth in construction activity accelerated, there was some loss of momentum in public administration, defence and other services. 8. Beyond Q3, the second advance estimates of foodgrains production for 2018-19 at 281.4 million tonnes were 1.2 percent lower than the fourth advance estimates of 2017-18, but 1.4 percent higher than the second advance estimates of 2017-18. 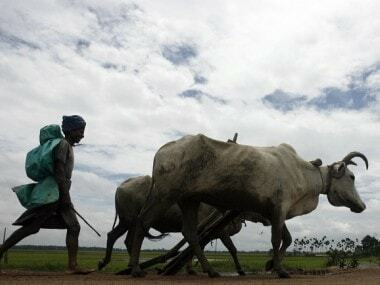 According to the National Oceanic and Atmospheric Administration (NOAA) of the US, El Niño conditions strengthened during February 2019, which may affect the prospects of a normal south-west monsoon. 9. Of the high-frequency indicators of industry, the manufacturing component of the index of industrial production (IIP) growth slowed down to 1.3 percent in January 2019 due to automobiles, pharmaceuticals, and machinery and equipment. The growth of eight core industries remained sluggish in February. Credit flows to micro and small as well as medium industries remained tepid, though they improved for large industries. Capacity utilisation (CU) in the manufacturing sector, however, as measured by the Reserve Bank’s order books, inventory and capacity utilisation survey (OBICUS), improved to 75.9 percent in Q3 from 74.8 percent in Q2 exceeding its long-term average; the seasonally adjusted CU rose to 76.1 percent from 75.4 percent. The business assessment index of the industrial outlook survey (IOS) points to an improvement in overall sentiments in Q4. The manufacturing purchasing managers’ index (PMI) remained in an expansion zone for 20th month in March. The key indicators of investment activity contracted, viz., production of capital goods in January and imports of capital goods in February. 10. High-frequency indicators of the services sector suggest significant moderation in activity. Sales of commercial vehicles contracted during February. Other indicators of the transportation sector, viz., port freight traffic and international air freight traffic, also contracted. However, indicators of the construction sector, viz., consumption of steel and production of cement, continued to show healthy growth. The hotels sub-segment showed some improvement in foreign tourist arrivals in January and international air passenger traffic in February. The services PMI continued to be in expansion zone for the tenth consecutive month in March 2019. 11. Retail inflation, measured by y-o-y change in the CPI, rose to 2.6 percent in February after four months of continuous decline. The uptick in inflation was driven by an increase in prices of items excluding food and fuel and weaker momentum of deflation in the food group. However, inflation in the fuel group collapsed to its lowest print in the new all India CPI series. 12. 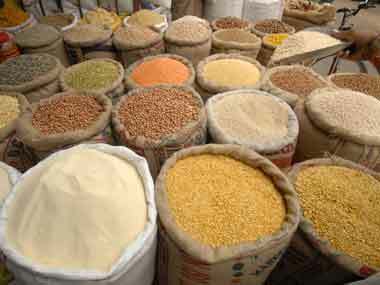 Within the food group, deflation in four sub-groups – vegetables, sugar, pulses and fruits – continued in February. Egg prices moved into inflation after remaining in deflation in the previous three months, while inflation ticked up in all other food sub-groups. 13. Inflation in the fuel and light sub-group collapsed from 4.5 percent in December to 1.2 percent in February. Prices of liquefied petroleum gas (LPG) declined sharply, pulled down by the lagged impact of the softening of international energy prices. The prices of firewood, with the second largest weight in the fuel group, also declined. Electricity slipped into deflation in January and February. Inflation in kerosene remained elevated, however, reflecting the impact of the calibrated increase in its administered price. 14. CPI inflation excluding food and fuel declined to 5.2 percent in January, but rose to 5.4 percent in February, driven by a broad-based pick-up in inflation in the personal care and effects, and recreation and amusement sub-groups. However, inflation in the clothing and footwear, and transport and communication sub-groups fell, the latter reflecting the reduction in petrol and diesel prices. Inflation in the health and education sub-groups remained elevated, even though it moderated markedly during January-February vis-à-vis December. 15. Inflation expectations, measured by the Reserve Bank’s survey of households, declined in the February round over the previous round by 40 basis points each for the three months ahead and for the one year ahead horizons. Firms participating in the Reserve Bank’s industrial outlook survey of manufacturing companies reported ra eduction in input price pressures, but they expected an increase in staff expenses in Q1:2019-20. Farm and industrial input costs increased at a slow pace in January-February2019. Nominal growth in rural wages and staff costs in the organised manufacturing and services sectors remained muted in Q3:2018-19. 16. From a daily net average surplus of Rs 27,928 crore (Rs 279 billion) during February 1-6, 2019, systemic liquidity moved into deficit during February 7 - March 31, reflecting the build-up of government cash balances. Currency in circulation expanded sharply in February-March. The liquidity needs of the system were met through injection of durable liquidity amounting to Rs 37,500 crore (Rs 375 billion) in February and Rs 25,000 crore (Rs 250 billion) in March through open market purchase operations (OMOs). Consequently, total durable liquidity injected by the Reserve Bank through OMOs aggregated Rs 2,98,500 crore (Rs 2,985 billion) for 2018-19. Liquidity injected under the LAF, on an average daily net basis, was Rs 95,003 crore (Rs 950 billion) during February ( 7-28 February, 2019) and Rs 57,043 crore (Rs 570 billion) in March. The weighted average call rate (WACR) remained broadly aligned with the policy repo rate in February and March. 17. Anticipating the seasonal tightening of liquidity at end-March, the Reserve Bank conducted four longer-term (tenor ranging between 14-day and 56-day) variable rate repo auctions during the month in addition to the regular 14-day variable rate term repo auctions. Furthermore, the Reserve Bank conducted long-term foreign exchange buy/sell swaps of $5 billion for a tenor of 3 years on March 26, 2019, thereby injecting durable liquidity of Rs 34,561 crore (Rs 346 billion) into the system. 18. Export growth remained weak in January and February 2019 mainly due to exports of petroleum products decelerating in response to a fall in international crude oil prices. Among non-oil exports, engineering goods, chemicals, leather and marine products recorded either sequentially lower or negative growth. As in the case of exports, lower international crude oil prices downsized the oil import bill. Non-oil non-gold imports declined sharply, dragged down by the subdued demand for pearls and precious stones, transport equipment, project goods and vegetable oils. The trade deficit narrowed in February 2019 – both sequentially and on a year-on-year basis – to its lowest level in 17 months. This, along with the increase in services exports and lower outgo of income payments, resulted in narrowing of the current account deficit sequentially. On the financing side, net FDI inflows were strong in April-January 2018-19. Foreign portfolio investors turned net buyers in the domestic capital market in Q4:2018-19. India’s foreign exchange reserves were at $412.9 billion on March 31, 2019. 19. In the sixth bi-monthly monetary policy resolution of February 2019, CPI inflation was projected at 2.8 percent for Q4:2018-19, 3.2-3.4 percent for H1:2019-20 and 3.9 percent for Q3:2019-20, with risks broadly balanced around the central trajectory. Actual inflation outcomes averaged 2.3 percent in January-February. 20. The inflation path during 2019-20 is likely to be shaped by several factors. First, low food inflation during January-February will have a bearing on the near-term inflation outlook. Second, the fall in the fuel group inflation witnessed at the time of the February policy has become accentuated. Third, CPI inflation excluding food and fuel in February was lower than expected, which has imparted some downward bias to headline inflation. Fourth, international crude oil prices have increased by around 10 percent since the last policy. Fifth, inflation expectations of households as well as input and output price expectations of producers polled in the Reserve Bank’s surveys have further moderated. Taking into consideration these factors and assuming a normal monsoon in 2019, the path of CPI inflation is revised downwards to 2.4 percent in Q4:2018-19, 2.9-3.0 percent in H1:2019-20 and 3.5-3.8 percent in H2:2019-20, with risks broadly balanced. 21. GDP growth for 2019-20 in the February policy was projected at 7.4 percent in the range of 7.2-7.4 percent in H1, and 7.5 percent in Q3 – with risks evenly balanced. Since then, there are some signs of domestic investment activity weakening as reflected in a slowdown in production and imports of capital goods. The moderation of growth in the global economy might impact India’s exports. On the positive side, however, higher financial flows to the commercial sector augur well for economic activity. Private consumption, which has remained resilient, is also expected to get a fillip from public spending in rural areas and an increase in disposable incomes of households due to tax benefits. Business expectations continue to be optimistic. Taking into consideration the above factors, GDP growth for 2019-20 is projected at 7.2 percent – in the range of 6.8-7.1 percent in H1:2019-20 and 7.3-7.4 percent in H2 – with risks evenly balanced. 22. Beyond the near term, several uncertainties cloud the inflation outlook. First, with the domestic and global demand-supply balance of key food items expected to remain favourable, the short-term outlook for food inflation remains benign. However, early reports suggest some probability of El Niño effects in 2019. There is also the risk of an abrupt reversal in vegetable prices, especially during the summer months. Second, inflation in fuel group items, particularly electricity, firewood and chips saw unprecedented softening in H2:2018-19. There is, however, uncertainty about the sustainability of this softening in inflation in fuel items. Third, the outlook for oil prices continues to be hazy, both on the upside and the downside. On the one hand, continuing OPEC production cuts will reduce supplies. On the other hand, there is considerable uncertainty about demand conditions. Should there be a swift resolution of trade tensions, a pick-up in global demand is likely to push up oil prices. However, should trade tensions linger and demand conditions worsen, crude prices may fall from current levels, despite production cuts by OPEC. Fourth, inflation excluding food and fuel has remained elevated over the past twelve months with some pick up in prices in February. However, should the recent slowdown in domestic economic activity accentuate, it may have a bearing on the outlook for inflation in this category. Fifth, financial markets remain volatile reflecting in part global growth and trade uncertainty, which may have an influence on the inflation outlook. Sixth, the fiscal situation at the general government level requires careful monitoring. 27. The minutes of the MPC’s meeting will be published by 18 April, 2019. 28. The next meeting of the MPC is scheduled during 3, 4 and 6 June, 2019.